Below is a post I’m re-blogging in honor of World Encephalitis Day, a day to raise awareness of this overwhelmingly under-recognized illness. 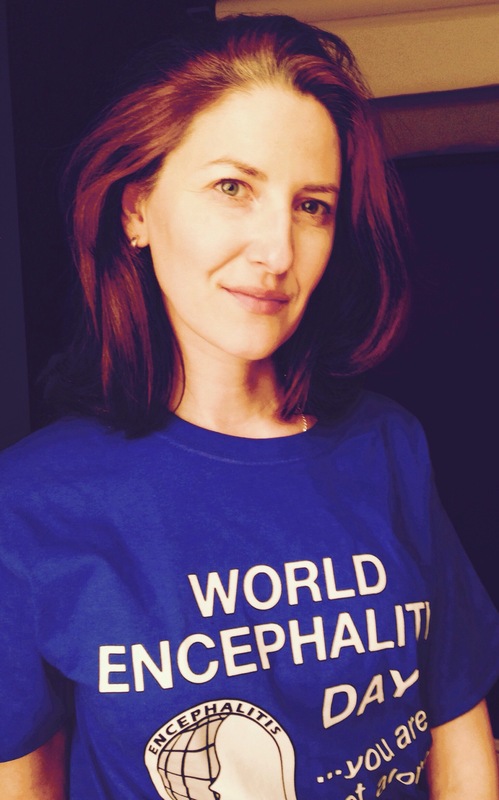 Please read Becky Dennis’s 12 reasons to care about encephalitis. It sounds cliché to say that I never imagined it could happen to me but it did (reason #9 in Becky’s list). I got a brain injury (reason #2) because my primary care doctor sent me home after I complained of light-headedness, dizziness, photophobia and difficulty finding words. I’m not unique. Encephalitis is a trickster of an illness (reason #6). It does not come on suddenly like a stroke. Even if you can get past the gatekeeping of a primary doctor to see a neurologist, patients frequently get told nothing is wrong because an MRI and spinal tap might not show a darn thing (check out reasons #5, 7 and 11). That happened to me. Twice. Sure, I am lucky that I got treated quickly enough that I didn’t die (reasons #1 and 8) but not lucky enough that I emerged unscathed (#4). While I may look the same to you, my brain and my life are not the same. I live every day with headaches and a cocktail of extreme fatigue, sensory dysfunctions, and vertigo. The physical residuals are tough but the changes to how I think and process now are even harder (#12). Check out the post below from Becky Dennis for 12 good reasons why you should care about this illness. Please spread the word…for all of us.